Nose landing gear. Note 'piano' hinges and actuator linkage. 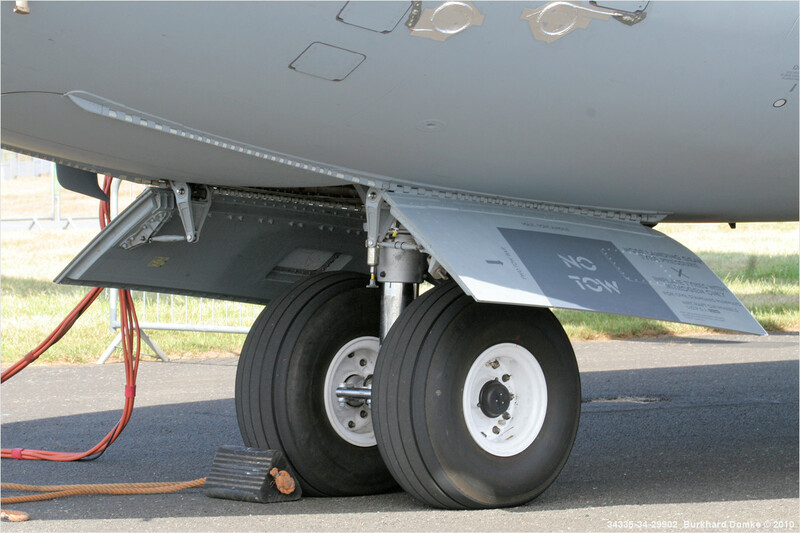 Forward two doors only open when landing gear is cycling.